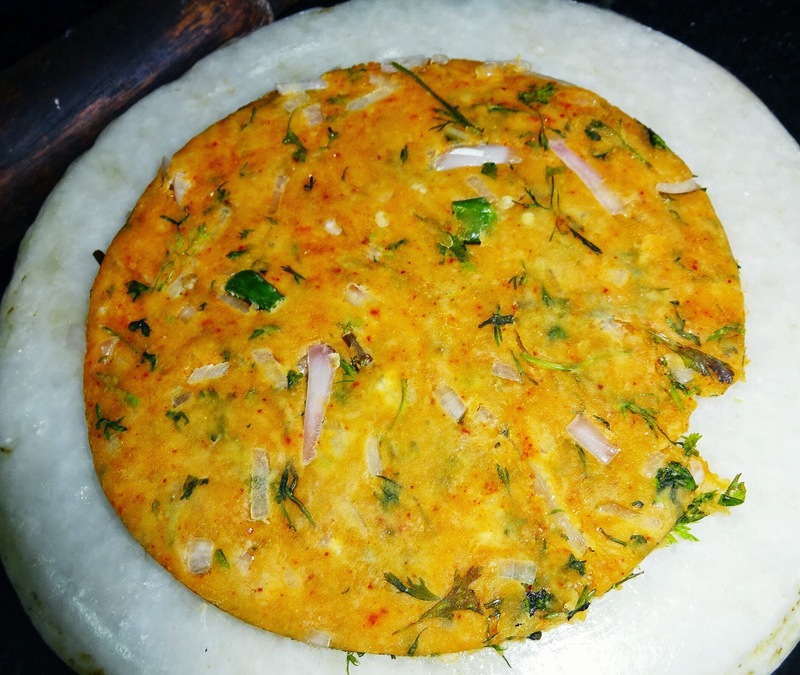 How to prepare Sindhi Koki | Gehu Ke Aatey ki Piyaz Waali Roti | Piyaz Waale Parathe | Onion Paratha. 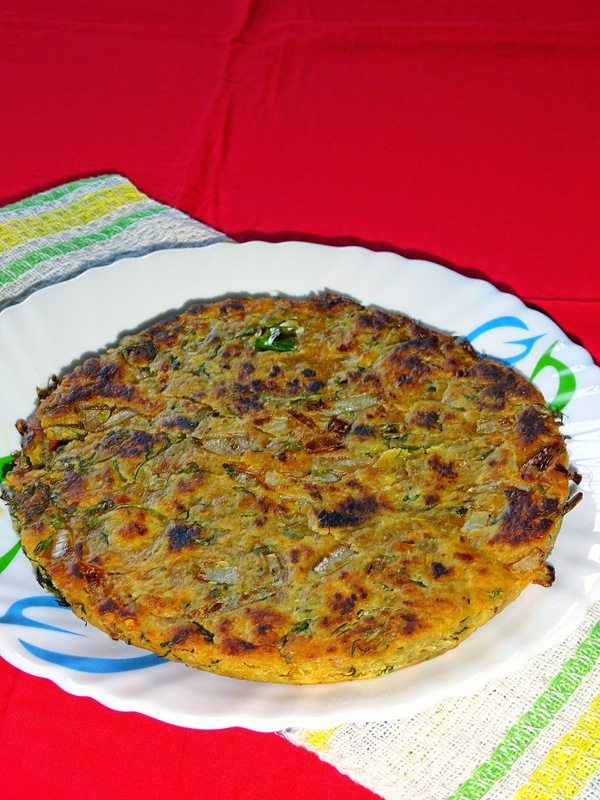 Sindhi Koki is one of the most preferred, tastiest and religiously served breakfast recipe of flat bread. 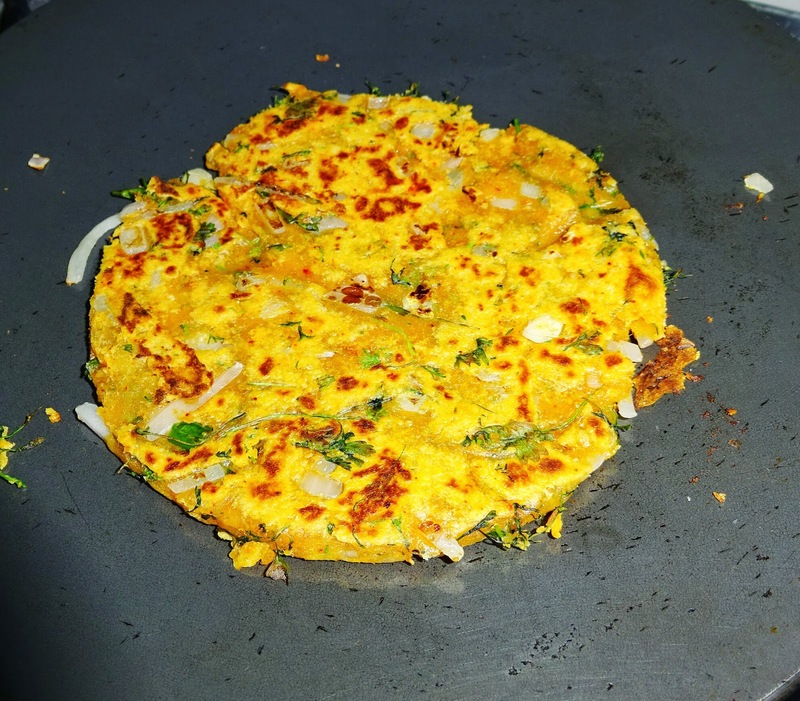 Koki is a Sindhi word of this flat bread which is prepared from wheat flour, onions, green chilies, dry pomegranate seeds, coriander leaves and Indian spices. 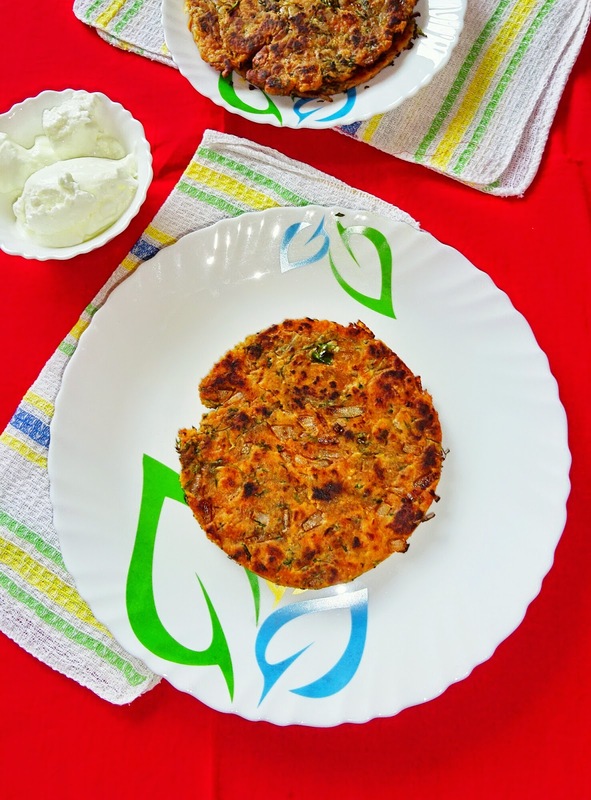 This breakfast recipe is served with curd and papad. 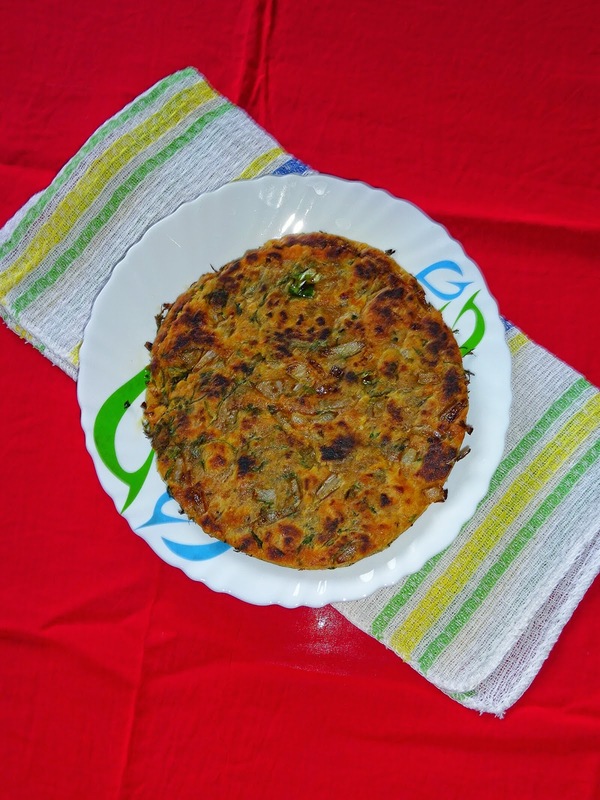 This flat bread can also be enjoyed with spicy mango pickle.. 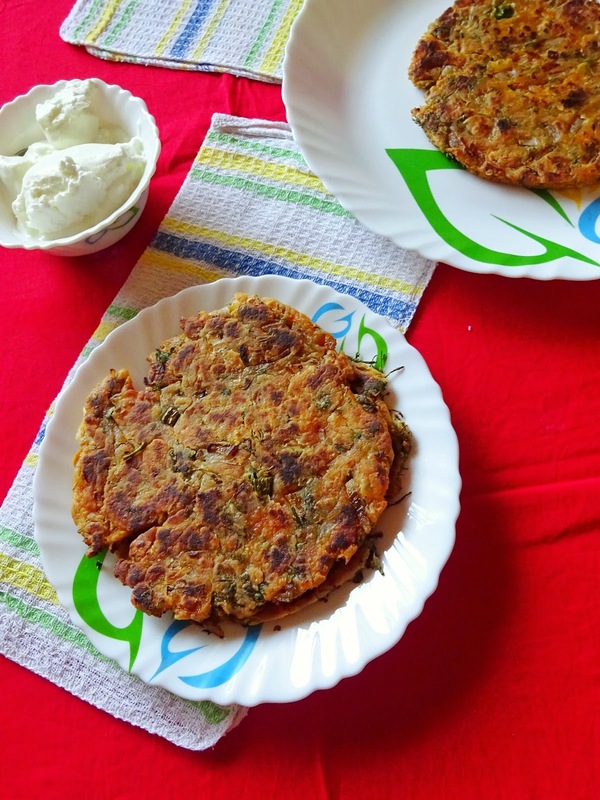 The secret ingredient in this recipe is Mohan (Mohan or mohern means adding good quantity of ghee or cooking oil at the time of kneading the dough). The right measure of ghee or oil, which is added at the time of kneading the dough will result in crisper and tastiest koki. 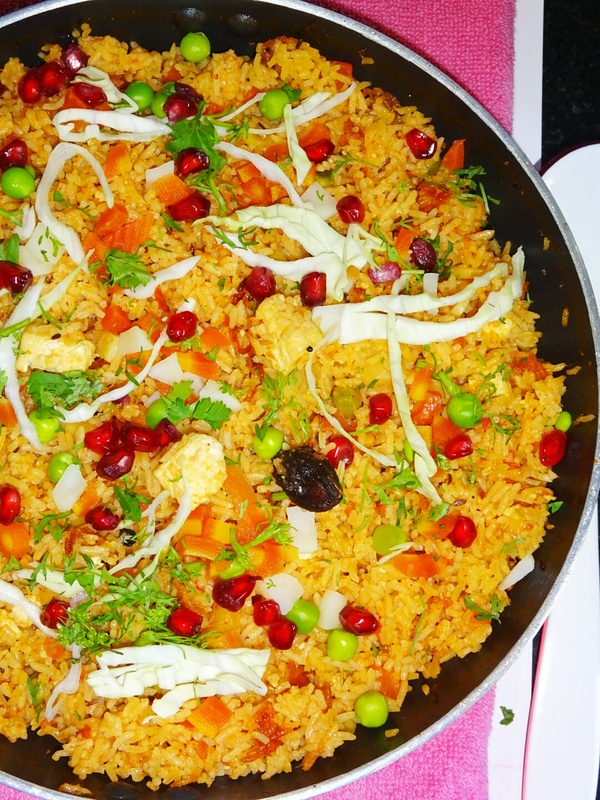 If you prefer very tasty and crispy Koki then add ghee in good quantity at the time of kneading the dough as well as at the time of roasting Koki. 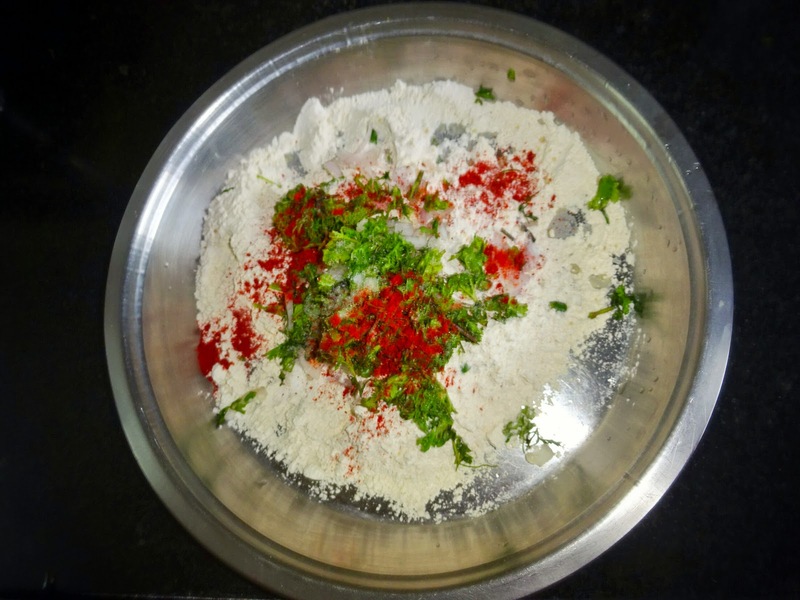 ◾ Take a mixing bowl or dough kneading plate, mix all the ingredients mentioned above. Add water as needed, knead the stiff and thick dough. Hold on the dough for resting for 2-3 minutes. ◾Divide the dough into four equal proportions. Take rolling pin, roll out to a circle of about 2.5" diameter. 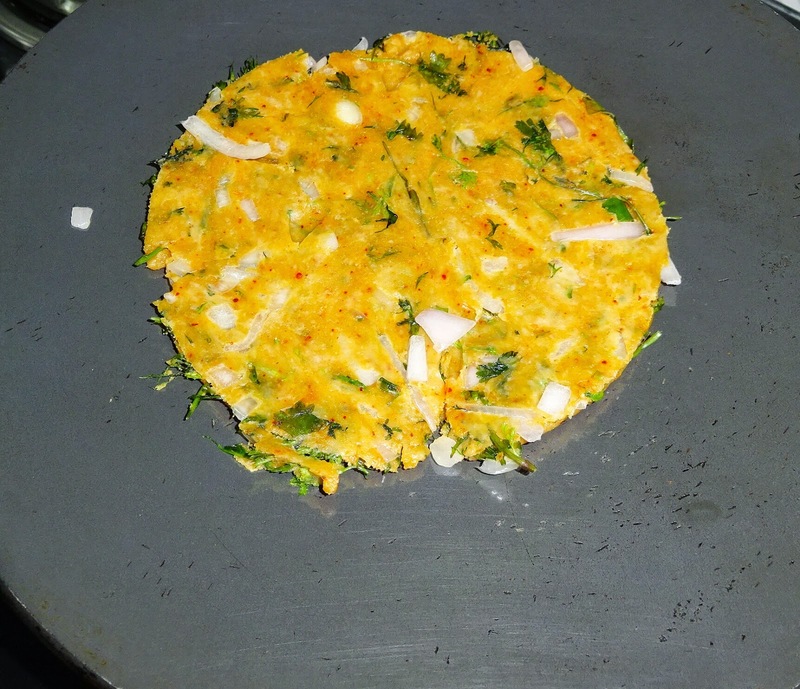 ◾Heat a flat tawa (griddle pan) on a medium heat, place the rolled out circle (Koki) on it, roast Koki till both the sides are well cooked and slightly brown. Apply ghee and roast again. 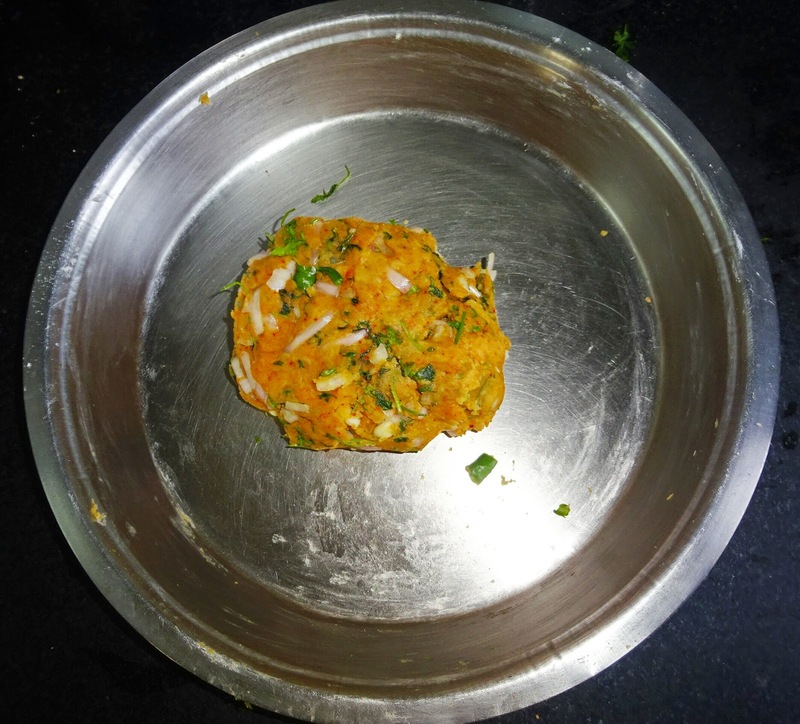 Cook till very small brownish spots appear on both sides. Follow the same process with remaining koki dough. ◾Serve hot with curd, papad or any pickle of your choice.